Jaye Crawford Takes Her Fight to Court, Needs Support! 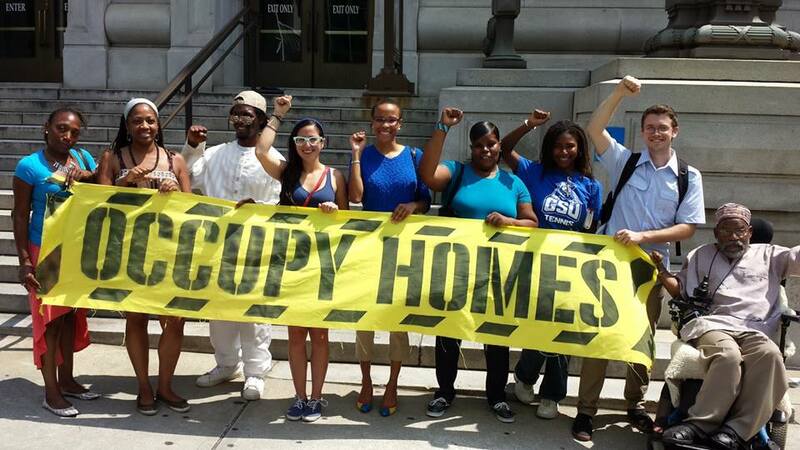 Occupy Our Homes Atlanta member Jaye Crawford has been fighting for housing justice for six months, and she’s not giving up yet. 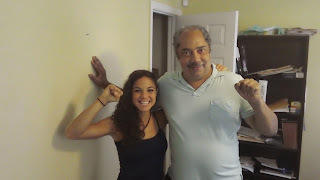 She’s hired civil rights attorney Robert Patillo to take her fight to court. Jaye Crawford has lived in her zoned-commercial unit for 14 years, which serves as both a living and work space for her personal training studio. When Jaye took a neighbor to court over incessant noise violations (and WON) property owner Henry Finkbeiner and manager Hugh Trotti refused to renew her lease. Mr. Trotti’s stated his reason: “No one reason in particular.” Mr. Finkbeiner nor Mr. Trotti have yet to address the law-breaking tenants. Occupy Our Homes Atlanta, Rainbow PUSH, and the AFSC have been fighting alongside Jaye since May of this year. Working with Jaye, we have launched an online petition, organized housing justice cookouts, held rallies, and had multiple candlelight vigils in front of Hugh Trotti's home. Attorney Patillo, who will file the law suit against The Warehouse Lofts on Jaye’s behalf, will also represent her in dispossessory court next Thursday (September 5th). Attorney Patillo is hopeful that an agreement can be reached between both parties. However, if an agreement is not reached, Jaye and Attorney Patillo are prepared to proceed with the law suit. Jaye's fight for housing justice is bigger than her. "No one has ever stood up to The Warehouse Lofts before. Someone has to, or they will keep giving tenants raw deals without thinking twice. Most people who receive a letter that their lease will not be renewed just pack up and move because they don’t have the money to fight. 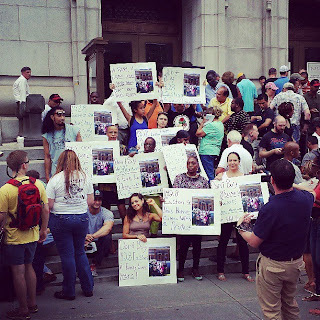 I want to send a message to Atlanta landlords that we are not disposable. ", stated Jaye. 1. Can you help cover Jaye's legal expenses? Jaye is a hard working single mom that never thought she would have to take this fight so far. While her lawyer has given her a discount, she still has to pay $2,500. If you can give anything it would be appreciated. Link to donate here. 2. 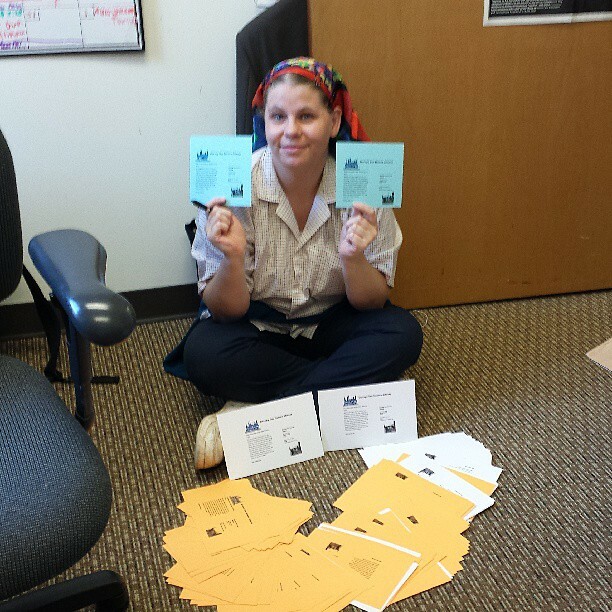 Will you stand with Jaye at her court hearing September 5th at 9am? We are asking folks to were blue in solidarity. Link to event. On Aug. 28, 2013, AFSC and 24 other diverse groups sent a letter to President Obama, urging him to reject military action in Syria and instead intensify diplomacy to stop the bloodshed. We, the undersigned organizations, are writing to express our grave concerns with your reported plans to intervene militarily in Syria. While we unequivocally condemn any use of chemical weapons along with continued indiscriminate killing of civilians and other violations of international humanitarian law, military strikes are not the answer. Rather than bringing an end to the violence that has already cost more than 100,000 lives, they threaten to widen the vicious civil war in Syria and undermine prospects to de-escalate the conflict and eventually reach a negotiated settlement. In the course of more than 2 years of war, much of Syria has been destroyed and nearly 2 million people—half of them children—have been forced to flee to neighboring countries. We thank you for the generous humanitarian assistance the U.S. has provided to support the nearly 1 in 3 Syrians—8 million people—in need of aid. But such assistance is not enough. As the U.S. government itself has recognized, there is no solution to the crisis other than a political one. Instead of pursuing military strikes and arming parties to the conflict, we urge your administration to intensify diplomatic efforts to stop the bloodshed, before Syria is destroyed and the region further destabilized. Latonia Wilson Fights Her Eviction....and Wins! 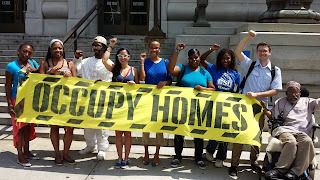 After stopping her home from selling on the courthouse steps Occupy Our Homes Atlanta launched on online petition for Latonis Wilson. Only a few days later Latonia recieved a disposseory from the owner of the home Dan West. Latonia and her allies quickly organized to housing justice cookouts to prove that she could fill her yard with supporters. 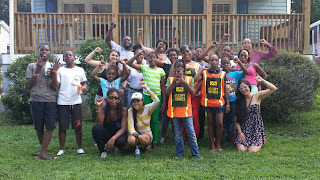 AFSC was delighted to participate in organizing around Latonia's home. It was a pleasure to spend time at her home with her beautiful children, it was clear that Latonia and her family is deeply loved in her community. Negotiation for Latonia's home started earlier this week.Today Latonia came to court with multiple supporters to face Dan West's lawyer in disposesory court to see if they could finalize a deal that would keep Latonia in her home. After much back and fourth a deal was struck that keeps Latonia in her home. The difference we see when we fight along side each other, rather than fighting alone, is often the difference between victory and defeat. In 2006 Mike and Patrice Figaro spent most of their savings on a house in South Fulton County. When they arrived to Georgia from California to live in their new home, they were immediately confronted with a nightmare of a home. Their wiring was hazardous, causing hot water heaters, televisions, ovens, and a jacuzzi bathtub to blow out. They had designed the home to be handicap accessible for Patrice, so they had an elevator installed. The elevator promptly failed. When they investigated these wiring issues they found that the permit for 220V power to their home had never been approved. When looking deeper into the paperwork they found that the building permit for their home had never been notarized, and that the signature on their certificate to occupy was forged (according to the county employee whose signature allegedly graced the certificate). These issues all stemmed from the builder, John Wieland Homes. Mike and Patrice went to their County Commissioner, Bill Edwards, for support to right the wrongs that had been committed against them. The Commissioner held a meeting with the Figaros, Occupy Our Homes Atlanta members, county employees, and representatives from John Wieland Homes. At the meeting Commissioner Edwards was very straightforward. He admitted on camera that there were serious issues with evident fraud on the certificate to occupy among other issues Figaros. Commissioner Edwards committed to look for into the case and meet again with more information, he also said that he would be willing to testify in court that there was wrong doing if it come down to it. Since then Edwards has back tracked, refused to meet, and has basically had his staff tell the Figaro’s that if they want more out of the County they can just file a lawsuit. Why the change of tone? Well we know that John Wieland is the biggest home developer in the state of Georgia, and that come with a lot of power. Power to commit fraud and influence elected official with impunity. 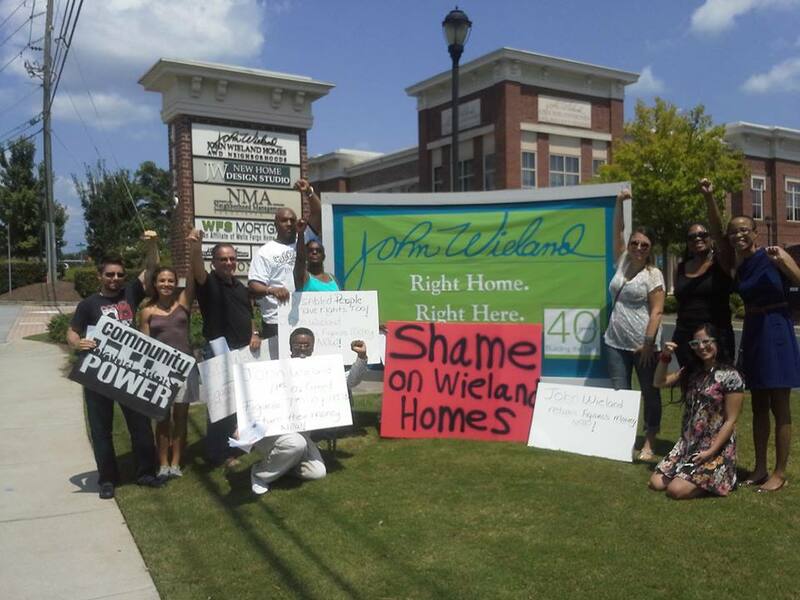 Today we took the fight right to John Wieland’s door step, making it clear that this will not go away until John Wieland Homes does the right thing and return the money they took from the Figaro's. About a dozen people converged on John Wieland’s corporate offices today around 1pm with signs and leaflets to pass out to folks. We made it clear that we will continue to put pressure on John Wieland Homes until this issue is resolved. The sad truth is that John Wieland is one of the richest people in Atlanta and the Figaro’s lost all of their lifetime wealth purchasing what they thought would be their dream home from John Wieland. Please consider signing the Figaro’sonline petition. This weekend AFSC has the pleasure of joining Occupy Our Homes and Occupy Chattanooga in a strategy session aimed at launching Occupy Chattanooga's first public home defense campaign. Folks from Occupy Chattanooga reached out to us just one day before Filson Manley's home was set to be auctioned off on the courthouse steps, they wanted advice about how to stop investors from purchasing a home that someone lives in and is fighting to save. 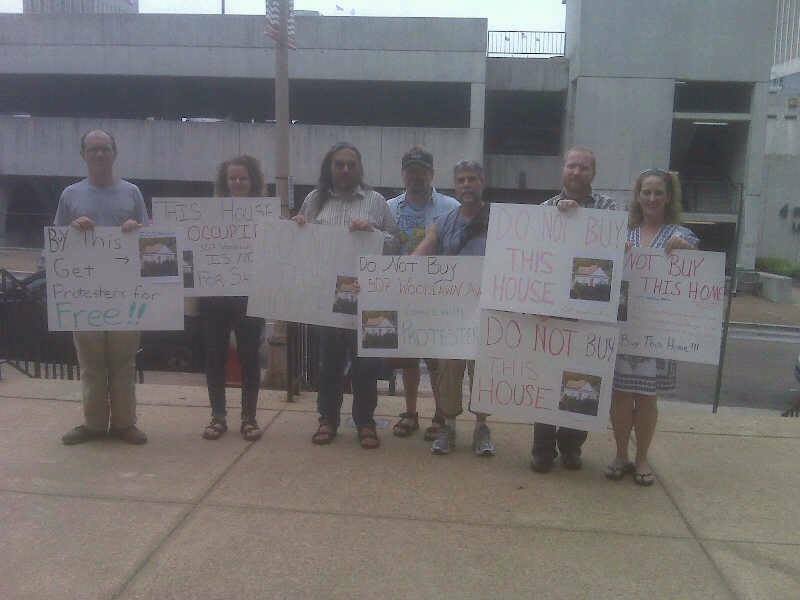 With in 24 hours Occupy Chattanooga mobilized their friends to show up to the courthouse steps and make sure Filson's home didn't sell to anyone. This weekend we spent several hours going through potential steps Occupy Chattanooga could take to build a strong campaign, and made action plans around each step. 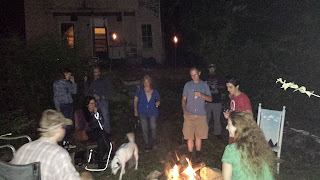 After our planning session we enjoyed a bonfire party at Filson's home. The Occupy Chattanooga crew has now launched an online petition to stop One West Bank from putting Filson Manley out of his home of 19 years. 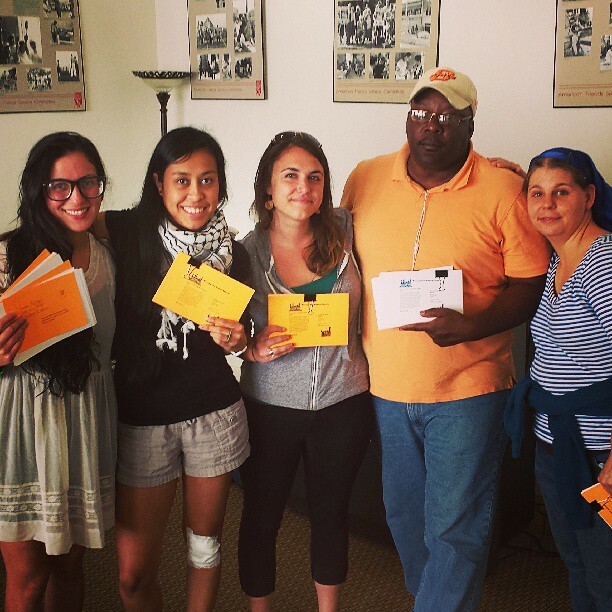 AFSC is excited to see more and more groups and individuals take on banks, investors, and slumlords in the South. We hope to continue work with Occupy Our Homes and other groups to build a housing justice movement in the South. Please take the time to sigh and share Filson's online petition. 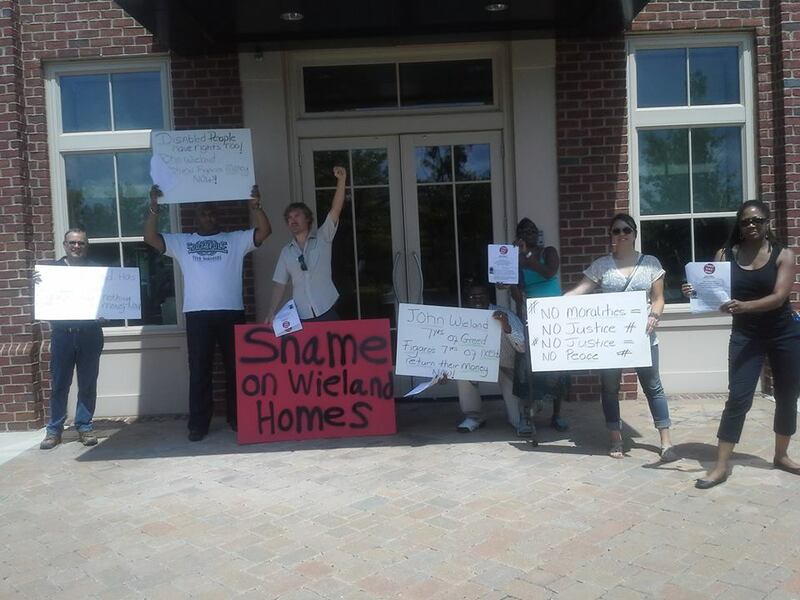 Monday evening American Friends Service Committee, Occupy Our Homes Atlanta, and other organizations are calling for Georgia's first Moral Monday to be oriented around taking back Mark Harris's home! 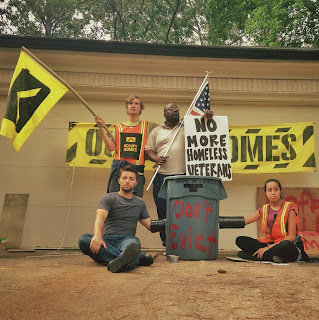 The recent eviction of disabled Desert Storm veteran, Mark Harris, inspired Occupy Our Homes Atlanta to bring together a diverse coalition of concerned citizens around the struggle for housing justice in Georgia. 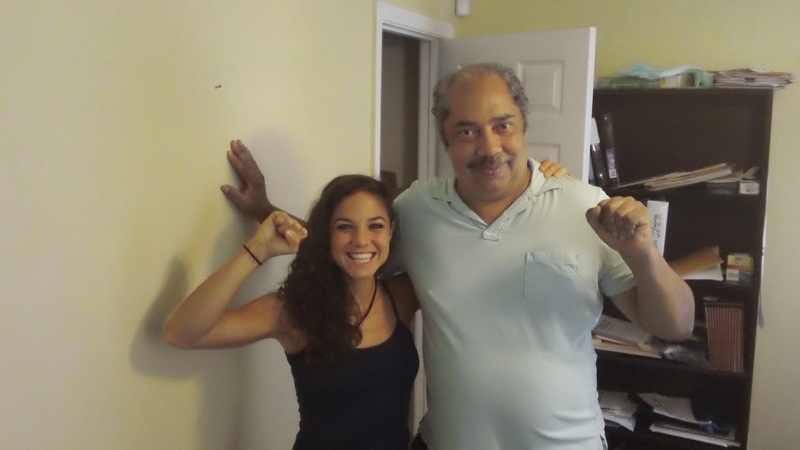 At 8:00 am on Friday, August 9th, DeKalb County Marshals evicted Harris at gunpoint from his home of 18 years. 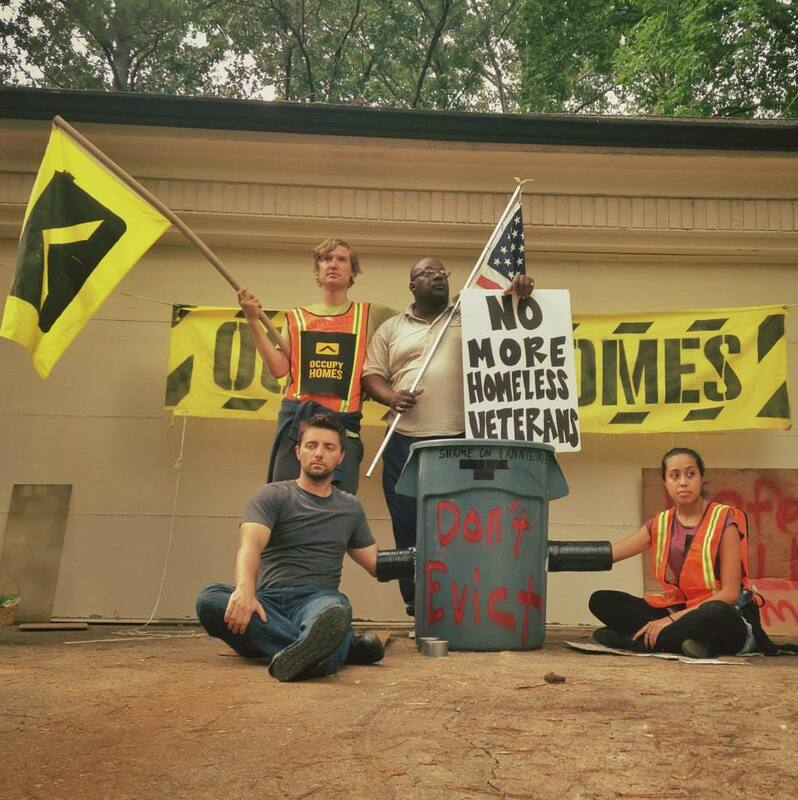 After 10 months of negotiations with Fannie Mae, the owner of Harris’s mortgage, they made it clear they are no longer interested in finding a solution and would rather see another homeless veteran on the streets of Atlanta. 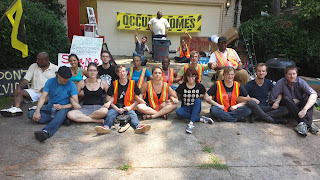 Since Friday morning, Harris, community members, and Occupy Our Homes Atlanta have mobilized to defend Harris’s home. We are deeply concerned with the immorality of the institutions responsible for the housing crisis and will not allow Fannie Mae to put another veteran on the street. 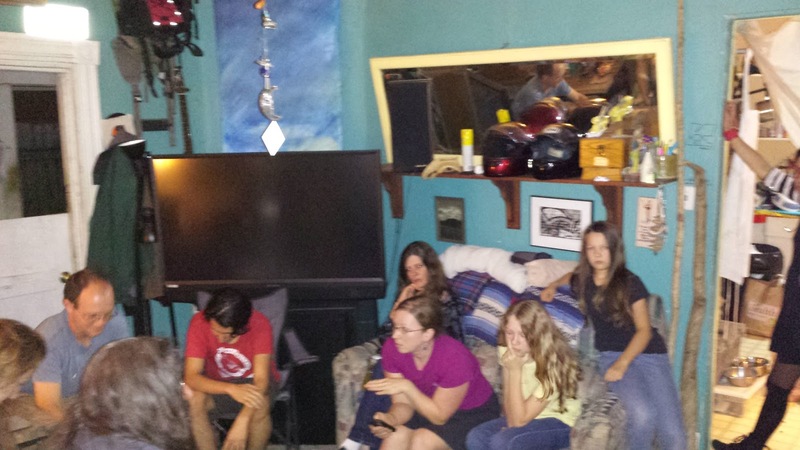 Yesterday multiple acts of civil disobedience took place at Mark Harris’s home. Occupy Our Homes Atlanta is calling for the first Moral Monday to protest housing injustice in our state and in our nation. 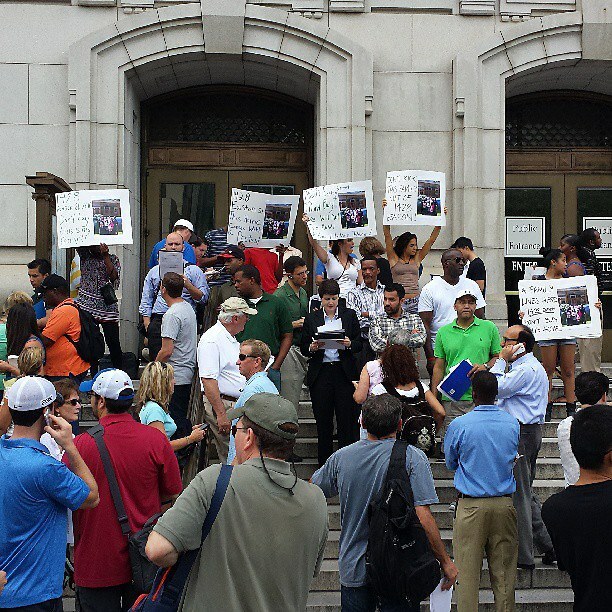 Defending Mark's home is a powerful way to stand up to the nationally nefarious practices of Fannie Mae. It is also a way to highlight and potentially change local and statewide policy around housing. Groups endorsing include: AmericanFriends Service Committee, Atlanta Jobs With Justice ,Georgia Peace and Justice Coalition, South Regional Rainbow Push Coalition, Cobb Immigrants Alliance, Cobb United For Change Coalition, DeKalb SCLC, Metro Atlanta Democratic Socialists, International Socialist Organization. Latonia Wilson and her family were set to have their home auctioned off on the Fulton County courthouse steps today. After trying to talk to their mortgage company, Performance View LLC, they have been met with no response to their requests to work out a deal that keeps them in the home. Latonia took out a lease to own deal on the house a few years ago for $50,000. According to property tax records, the house is currently appraised at $13,000. Now she's unemployed and needs Dan West with Performance View LLC to work with her to keep her in the home. Dan West has a shady history, his listed office space is non-existent, and he needs to be held accountable. 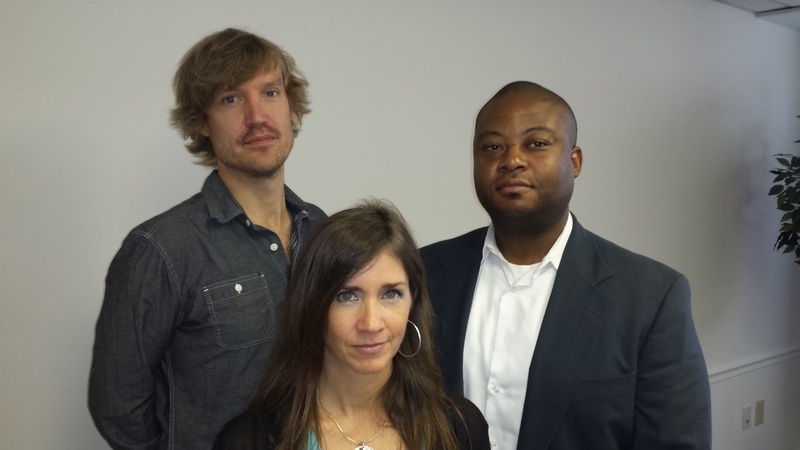 Read about his past dealings as head of Intown Venture. Today, rather than sitting back and letting a profit hungry investor/Wallstreet hedge fund buy Latonia's home from underneath here, we decided to show up in force with and hold up pictures of Latonia and her family in front of the house. We wanted to make it clear that this home was filled with people who are loved and needed in their community, that whoever purchases the home will have to deal with us. When it came time for Latonia's home to be auctioned, no one would bid on it. There's still a long way to go for Latonia's struggle. Today we made sure that the property did not change hands to an unknown investor, instead it went back to Performance View LLC, who now has the power to move forward on the eviction of Latonia's family. Latonia lives in a community that has been rocked by the housing crisis. There are already enough empty homes in Latonia's community, mostly the result of really bad loans pushed on folks, including Latonia. It's time we stop blaming the victims and start fixing the problem in our city. 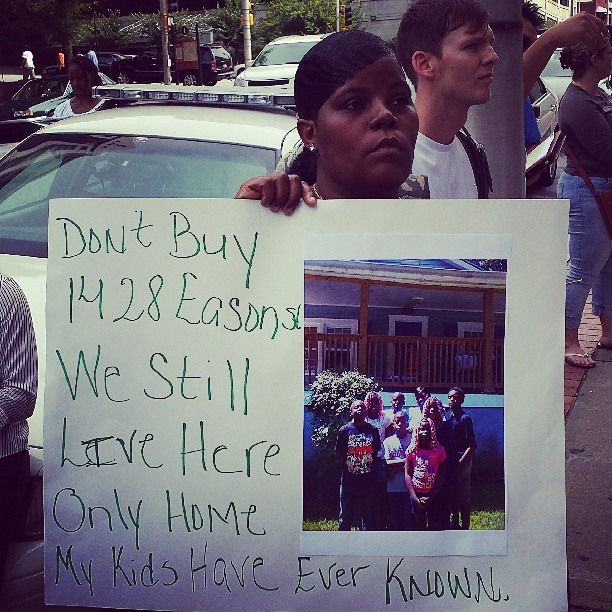 Please sign and share Latonia's online petition. Marshall Rancifer is a passionate advocate and service worker who dedicates most of his time -- weekdays, weekends, and evenings -- to the needs of residents of the Bluff. While the city of Atlanta has long neglected this English Avenue neighborhood, denying its residents access to basic needs and services, Marshall tirelessly offers direct service to those seeking drug treatment, employment, HIV testing, or shelter. As a recovered drug addict who once lived on Atlanta's streets, Marshall is all too familiar with the unjustifiable abuse the city inflicts on the homeless, even in a neighborhood filled with empty houses. Now, Marshall's own right to housing is again under attack. In order to live close to the Atlanta Harm Reduction Center Marshall decided to rent a small room across the street from the center. The living situation has ended up being pretty terrible. Not only is it an unsanctioned boarding house but there’s no heat or AC, there’s unfinished walls, and bathroom piping that doesn’t work. Last night Marshall had a dispute with his landlord over his balance and instead of working out an agreement, or following the proper eviction channels, Marshall’s landlord simple attempted to pull a “self help” eviction. A “Self Help” eviction is basically where a landlord tries to strong arm a tenant out of their home using intimidation, In Georgia “Self Help” evictions are unlawful. Marshall’s landlord removed his door and cut the power off to his room, both actions are considered unlawful. Today we responded by giving the landlord till the end of the day to restore power and replace Marshall’s door. We also told him that we needed Marshall to be able to stay in his room for the next two weeks while he finds a new place, as Marshall doesn’t want to stay there. Marshall’s landlord agreed to our terms so we expect that the power will be back on and Marshall’s belongings will be safe by the days end. It’s sad to say by communities like English Avenue are crawling with slum lords who often assume that human and civil rights don’t apply to the people they are building their wealth off of; their tenants. It’s time we start making it clear that slum lording will not be tolerated in our city anymore. Every time we fight and we win, it makes more space for others to fight and wins, it creates less space for slum lords to exist. 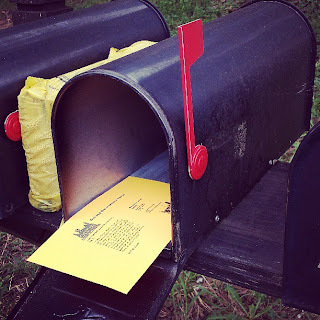 Earlier this week folks in the Occupy Our Homes Atlanta network were asked if they would be willing to send a postcard to Judge Mark Anthony Scott asking him to sign a restraining order against Fannie Mae, which stop Fannie Mae from taking the home of Desert Storm Veteran Mark Harris. Over the course of the week hundreds of people have responded expressing that they enthusiastically send a postcard to support Mark Harris. Today we sent our first batch of postcards and we know dozens of others that are sending their from their homes. Tomorrow and Monday we will be sending more postcards. In Atlanta we have seen the homeless population dramatically increase over the last 10 years as the housing crisis has hit already struggling communities. A startling percentage of our homeless population are veterans, many of them, like Mark, combat veterans. We believe Fannie Mae has an opportunity to do the right thing here, we know Mark is willing to pay and fair price and we know that his community is unwilling to sit back and watch another veteran lose their home. American Friends Service Committee is proud to be able to support this campaign by printing postcards and making sure every card gets delivered. There's still time to have a postcard sent on your behalf, just email tfranzen@afsc.org with your name and address and we will make sure one gets mailed on your behalf. You can also sign marks petition by clicking here.